With millions of users worldwide, Quickbooks is one of the most popular accounting systems on the market. It is versatile, easy-to-use, and full of useful features that can help your small-to-medium business get ahead of the competition. Quickbooks offers users a way to organize their financial and nonfinancial in one easy-to-use product, saving users time, money, and headache. It comes in four different versions and can be integrated with dozens of third-party applications to fully fit your business needs. 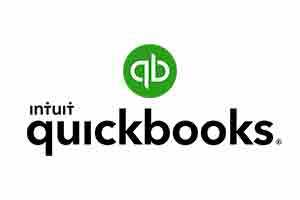 The certified Quickbooks ProAdvisors at Accounting Business Solutions by JCS can assist you in the selection and implementation of the Quickbooks product that is best for you. Quickbooks Desktop Pro helps users organize their business activities and finances all in one place to boost productivity and save money. Quickbooks Premier is the mid-range Quickbooks software option designed to maximize efficiency for small and medium-sized businesses alike. Quickbooks Enterprise is the most robust product in the Quickbooks desktop family, offering users powerful business tools to save time and money. Find which version of Quickbooks is right for you! Whether you need Quickbooks support, Quickbooks training classes, Quickbooks discounted software, or Quickbooks data migration, our certified Quickbooks ProAdvisors are here for you! The Quickbooks consultants at Accounting Business Solutions by JCS have over 30 years of experience in accounting systems and can help you select, implement, and customize your Quickbooks product to fit your needs. Call us today to get started!